Telemachus: What the Heck is ‘QE-2’ Anyway? The two people we talked with have Washington backgrounds at very high levels of government and they do not know each other as far as we can tell. They said the same thing even down to the 'expletive-deleted' part. And they were from two different political parties. It sounded like they were reading from the same talking points memo. Which really scared us no end. When some people hear 'QE-2", they think of the magnificent ocean liner run by the Cunard Lines and which honors Queen Elizabeth, the second longest-serving monarch ever in the British Empire at over 59 years, second only to Victoria who reigned for over 63 years. We are talking about the American version, ‘Quantitative Easing’ of our money supply conducted by Fed Chairman Ben Bernanke and endorsed by Treasury Secretary Tim Geithner. 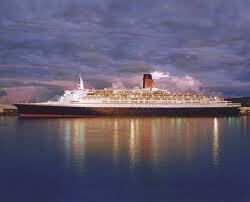 We have had ‘QE1’ and now ‘QE2’ is about to expire this summer. So 1) what is it anyway? ; 2) has it worked? ; and 3) do we need to do ‘QE3’? Here’s a pretty good and relatively simple explanation of QE from the vaunted Bank of England no less. The basic idea is to do something to stabilize and then stimulate the economy in the event of a severe downturn (as we have experienced from 2008 to present and never is seeming to end) when: A) fiscal measures by Congress don’t seem to be working (duh!) and B) interest rates are next to zero. Zero real interest rates diminishes the ability of the Federal Reserve to stimulate growth (and inflation) through traditional means of manipulation of the supply of American money in the world economy. In zero interest rate environments, the number of arrows left in the quiver for monetary decision-makers are just about gone. What is the Fed going to do, 'pay' people to borrow money next? Doubtful, but you never know nowadays, do you? Remember, we no longer live in a world where only hard paper greenbacks and metal coins constitute 'money supply' as in the 18th century. Expansion of credit and electronically-displayed digital 'Federal Reserve Balance Sheets' all now also constitute American 'money supply' as well as we shall soon see. To that question, we do not have the answer. But we do get the sense that ‘something ain’t working out just right so far'. Maybe there are better ways to handle the economy from the White House to the Congress to the Fed to the US Treasury. In short, it is a mess. And it needs to be cleaned up and soon. We seem to be chasing our tails here in the US by constantly trying to defy the gravity that is immutable in the laws of physics as well as economics. We have politicians and Presidents wishing and hoping and huffing and puffing as hard as they can that this economic crisis will just ‘end’ somehow and go away so we can start living our normal lives again. Whatever 'normal' might be one day in the future. We don’t want to be the Cassandra of Doom And Gloom any more than we already have been over these past 2 years. We are trying to be objective and honest and play it down the middle of the fairway. We trust the American people to want to do the right thing once they get all the information they need to make the right decisions. We beg to differ. We think almost all politicians are missing the point. Congress is the only duly-ordained legislative body in the world that has 100% control over what we spend and what laws we pass in the federal government. Not the Chinese. Not Al Qaeda. Not the Fed. Our duly-elected representatives and senators in Congress are the only ones who can fix the problem and that is by eliminating the reason why the Fed has to monkey around with their balance sheets in the first place. Which are the enormous annual budget deficits Congress has been spitting out like watermelon seeds for the past decade now. Here’s what we would think would happen at the Fed if we had zero national debt and balanced budgets from here on out: ‘Nothing’. Ben Bernanke would be so bored he would quit to go write more tomes about the Great Depression. Every other worker at the Fed would retire early because computers could do what they are supposed to do…maintain and steady growth rate in the money supply of around 3% per year to account for population growth and keep the currency steady and healthy. QE1 and QE2 and maybe QE3 are just manufactured ways that the Fed is trying to cover for the massive mistakes made by Congress and the White House over these past 30 years but mainly these last 10 and especially in the last 2.5 years and counting. You want to diminish the role of the Fed in our lives? Tell Congress to balance the budget tomorrow and see what happens. You'll never hear from Ben Bernanke or any other Fed Chairman ever again. And the only 'QE3' you'll ever see or hear about will be the gigantic cruise liner that will be built to honor Queen Elizabeth of Britain when she finally relinquishes the crown to her long-patient son, Charles. In about 25 years probably. "Tell Congress to balance the budget tomorrow ..."
Yes, but whatever will we do with the wandering bands of bureau-weenies? Congress is the only part of our government that has any control over any spending. What Congress authorizes, the Admin spends. What Congress doesn't authorize, the Admin can't ever spend.